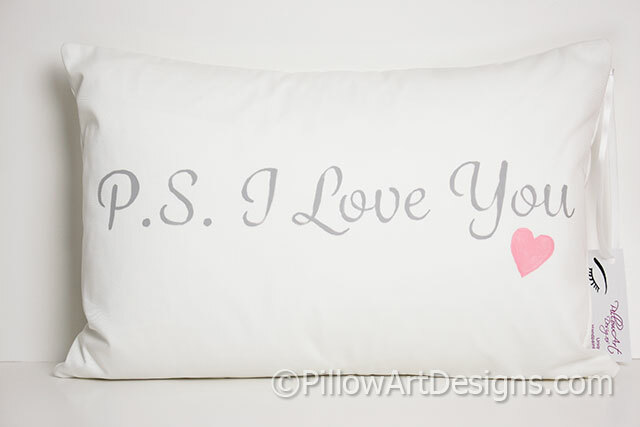 A sweet message of love on the front of this white lumbar pillow, 'P.S. I Love You' painted in stone grey with pink heart below the word 'You'. 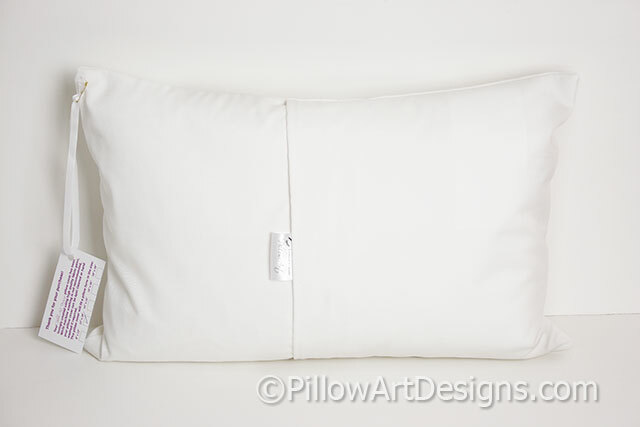 Pillow measures 12 inches X 18 inches, comes with down feather insert included.